… In the meantime, let us remember that, as history repeats itself, so does the call on us all to do what we can to help. 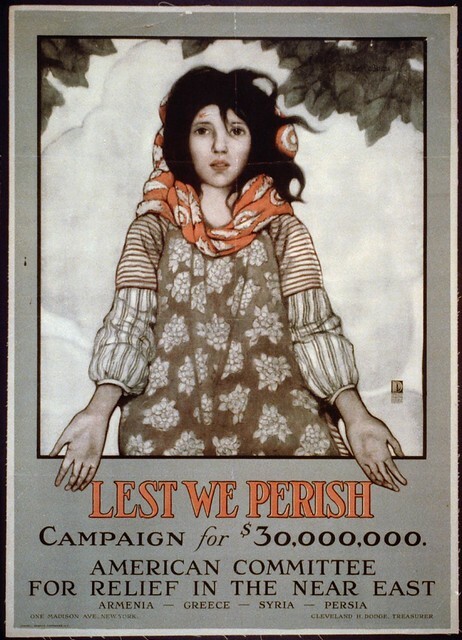 The American Committee for Relief in the Near East, which put these posters in circulation in the last years of World War I, began in 1915 as the American Committee for Armenian and Syrian Relief and was formed as a humanitarian response to the Armenian genocide and the dissolution of the Ottoman Empire. 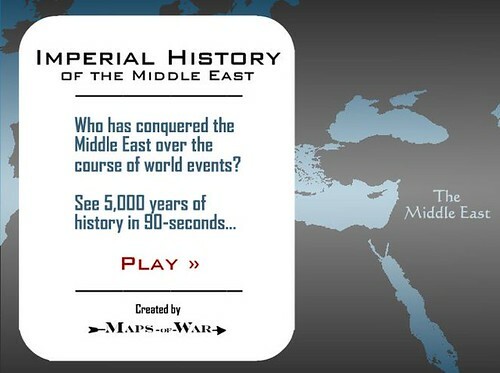 As World War I developed, the group began to offer food and shelter to displaced people in Syria, Persia (now Iran), and Greece. The American Committee for Relief in the Near East’s posters often used the image of a child, or a young woman, to appeal to passers-by. Throughout the war, Americans also donated to relief campaigns for Belgian and French children, and the image of hungry young people and frightened mothers came to symbolize the plight of civilians caught up in the war. 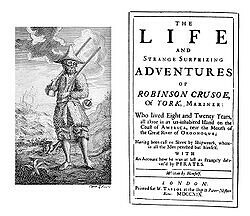 As we reach deep, we might we might recall that it was on this date in 1659 that Daniel Defoe’s “Robinson Crusoe” was shipwrecked and marooned on the desert island that was his home for the next 28 years. Defoe called his novel, based in part on the true story of shipwrecked sailor Alexander Selkirk, The Life and Strange Surprizing Adventures of Robinson Crusoe, of York, Mariner: Who lived Eight and Twenty Years, all alone in an un-inhabited Island on the Coast of America, near the Mouth of the Great River of Oroonoque; Having been cast on Shore by Shipwreck, wherein all the Men perished but himself. With An Account how he was at last as strangely deliver’d by Pyrates. 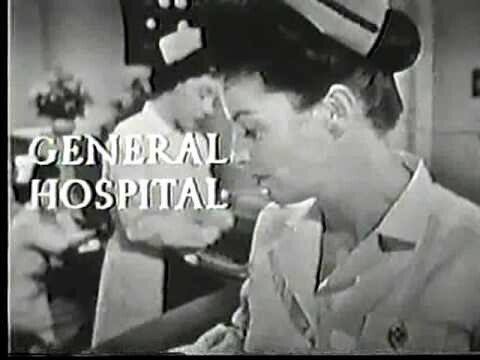 Colonel Brighton: Look, sir, we can’t just do nothing. General Allenby: Why not? It’s usually best. 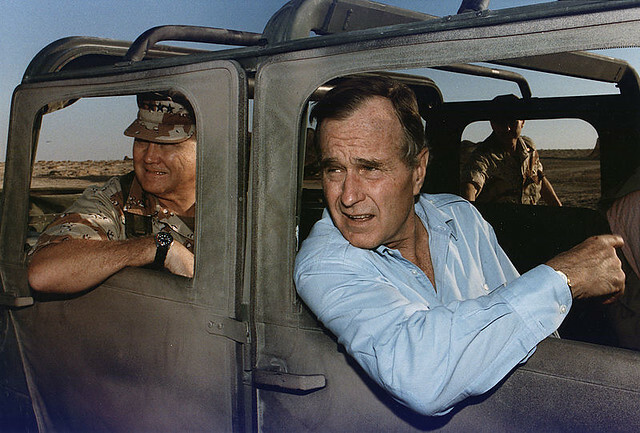 As we search for lines in the sand, we might recall that it was on this date in 1991 that General H Norman Schwarzkopf, Jr– Stormin’ Norman, the Commander of Operation Desert Storm– publicly apologized to President George H.W. 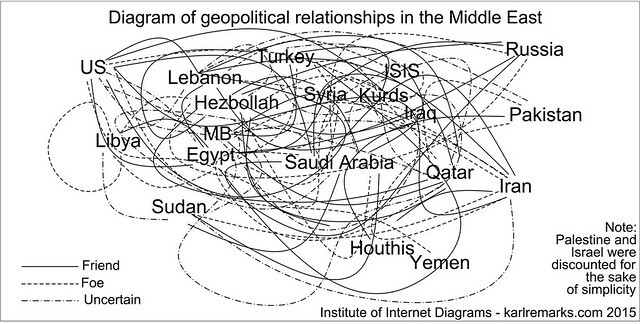 Bush for having criticized the Commander in Chief’s decision to call a cease fire to end the (first) Gulf War. 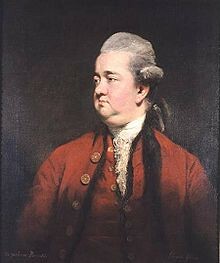 As we remind ourselves of Mark Twain’s observation that, while history never repeats itself, it rhymes, we might recall that it was on this date in 1764 that then-twenty-seven-year-old Edward Gibbon, on a Grand Tour of Europe, was inspired by a group of chanting clerics to begin work on The History of the Decline and Fall of the Roman Empire. It was at Rome, on the [fifteenth] of October[,] 1764, as I sat musing amidst the ruins of the Capitol, while the bare[-]footed fryars were singing [V]espers in the temple of Jupiter, that the idea of writing the decline and fall of the [C]ity first started to my mind. Gibbons “Capitoline vision” (as historians now call it) expanded from Rome to the entire empire, and resulted in a magnum opus that was published in six volumes between 1776 and 1788.